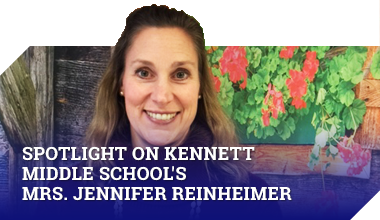 The mission of the Kennett Consolidated School District’s (KCSD) information literacy program is to ensure that students and staff members are effective users of ideas and information, empowering them to become informed and responsible contributors to society. The information literacy program within the KCSD provides all individuals with a process for learning that is transferable among content areas both in an academic environment and in the real world. In the New Garden Elementary School library media center there are over 20,000 books for the children to explore. Students visit the library weekly for book exchanges, but may exchange their books on a daily basis. Mrs. Pizzini is the library media specialist and Ms. Sylvanus serves as the library clerk.